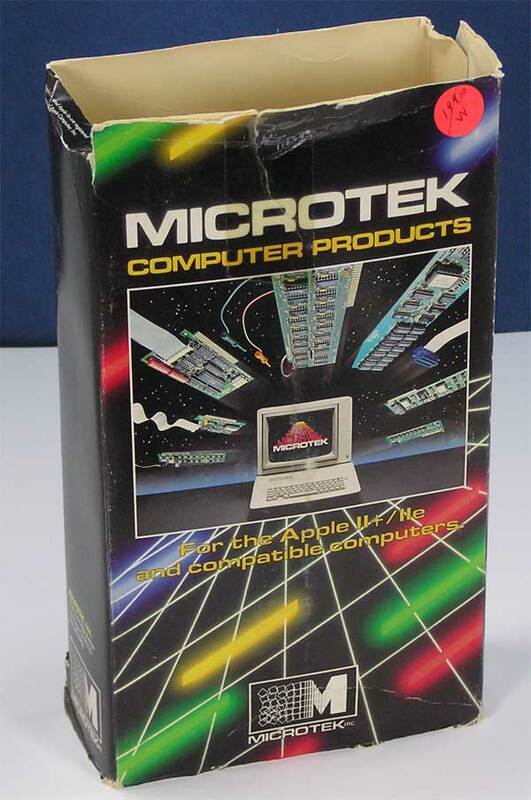 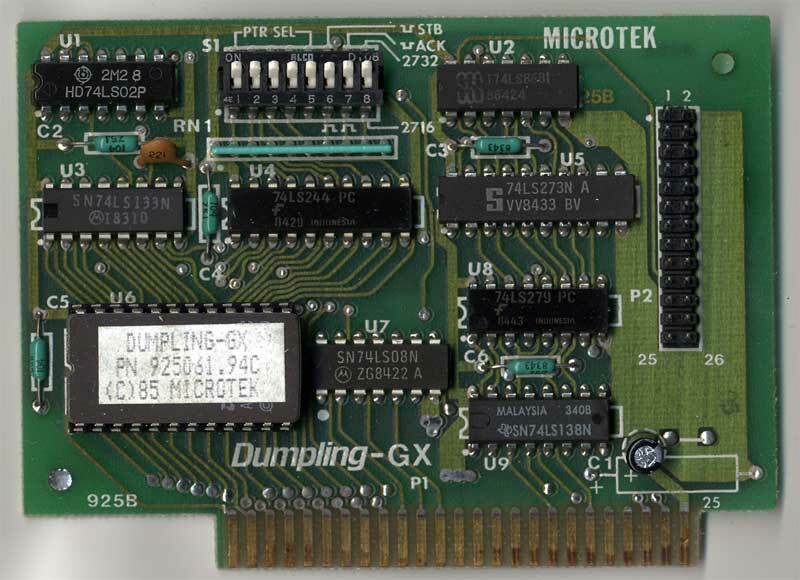 Microtek Dumpling - GX is a high resolution graphics printer interface card for the Apple II and clones such as Franklin. 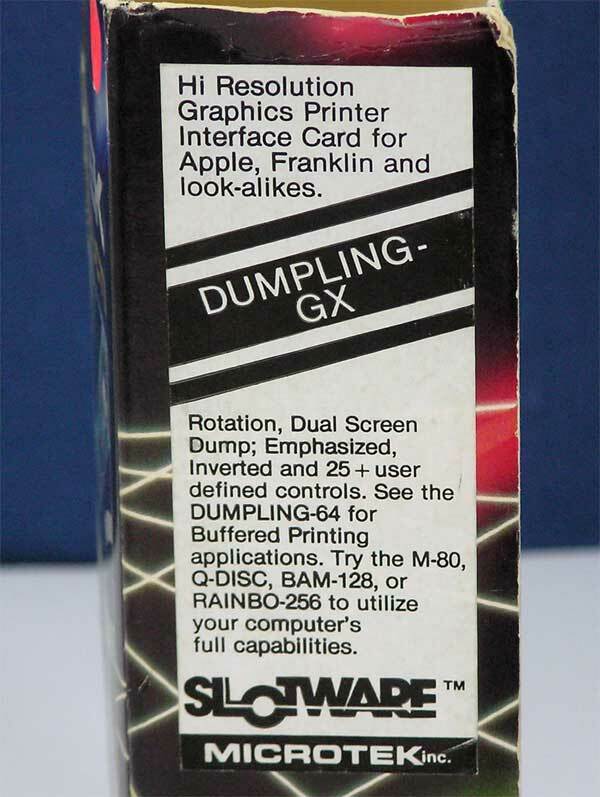 This card lets you print HIRES graphics on popular non-Apple printers with your Apple ][+, //e and IIGS computer. 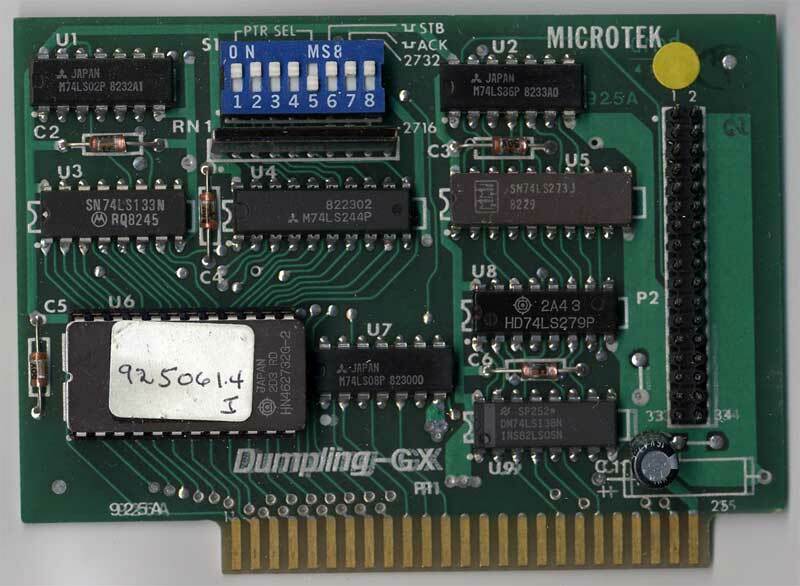 Two versions of the card are available. 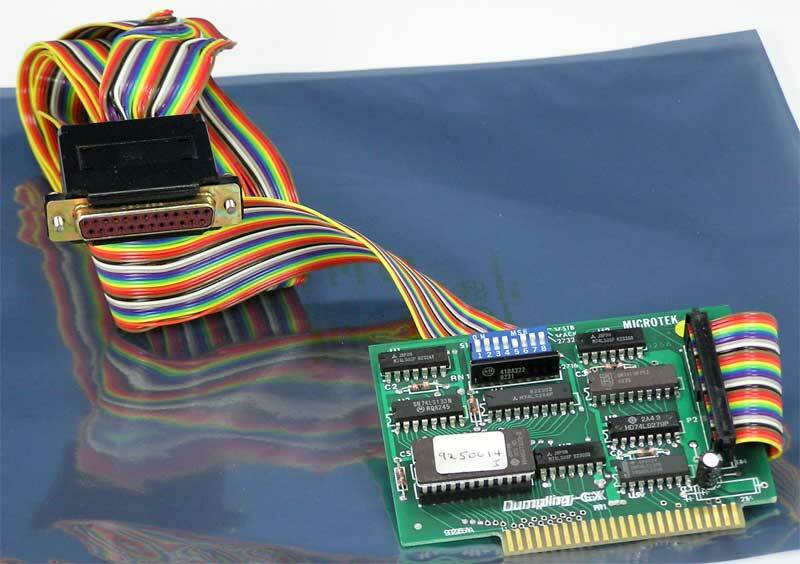 925B includes a cable that goes from the card to the centronics port on a parallel printer. 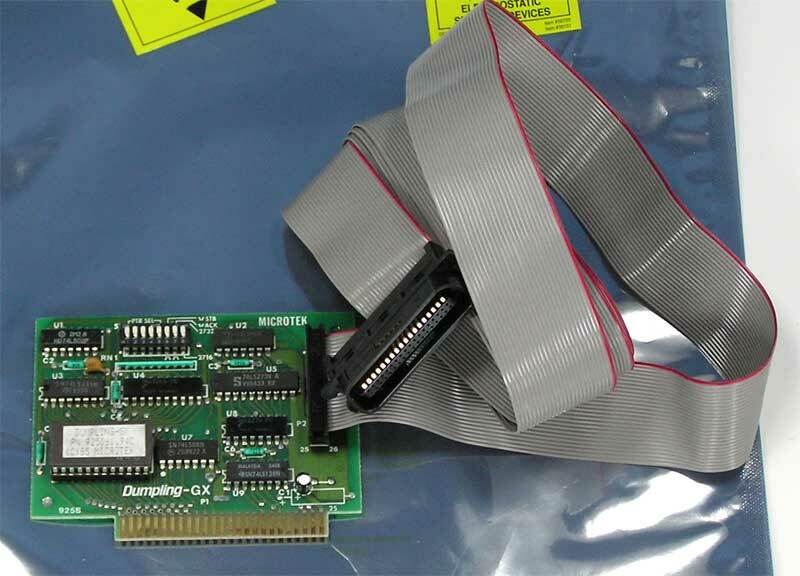 925A includes a cable from the card to a DB25 female connector - you would then need a regular parallel printer cable (not included) to attach to this cable and the printer. 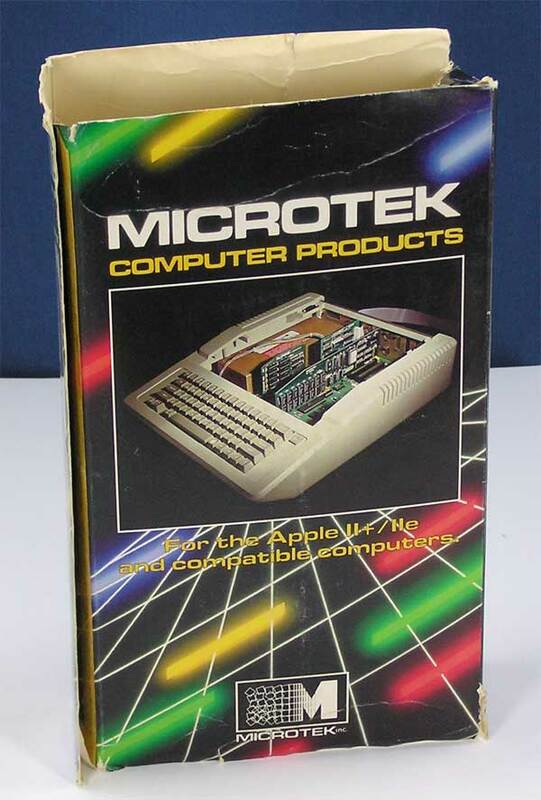 Drop me a note on the checkout page if you have a preference. 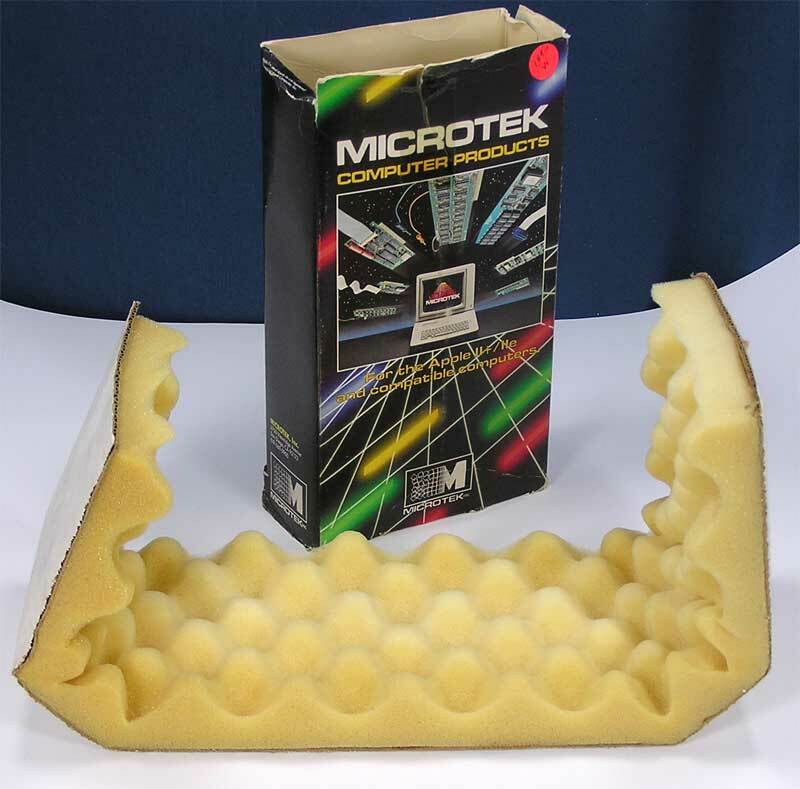 Remaining is 925B with cable, no box - last two photos.